Lyophilized cherry juice 80% ± 5%, microbial apple fiber 20% ± 5%, capsule. A natural source of a substantial amount of antioxidants that support the body’s protection against cancer and the aging process (3,500 ORAC points). It supports functioning of the cardiovascular system. It helps insomnia and accelerates falling asleep due to the content of melatonin. It supports the treatment of diseases of the urinary tract. It has a low glycemic index of 22 – save for consumption for people with diabetes. Low caloric content (50kcal in 100g) supports weight loss diet. A natural source of fruit acids that stimulate the secretion of digestive enzymes and saliva. 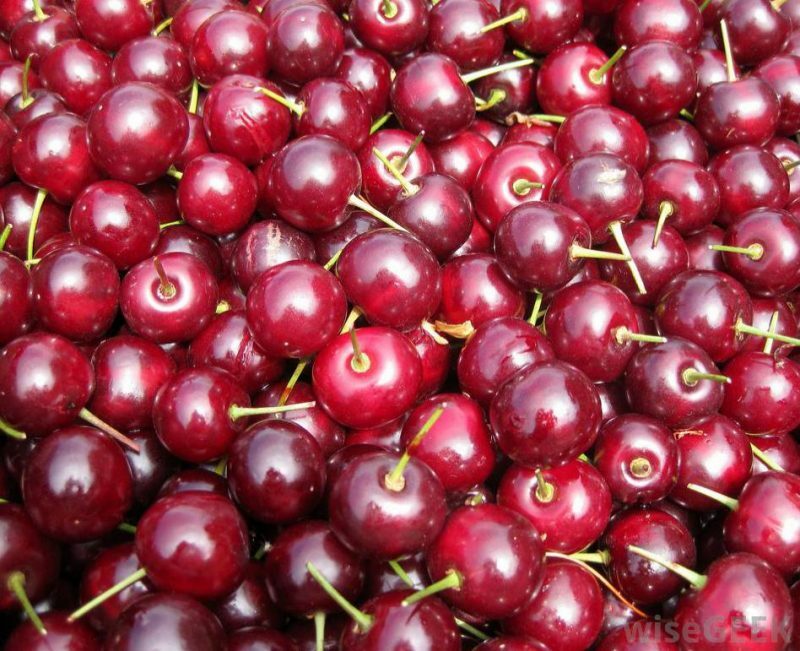 Cherry is one of the so called „primary” fruit – it has not changed a lot over almost 2300 years of cultivation. As traces discovered by archeologist and written communications indicate, cherry has already been cultivated in the 3rd century BC. It has been a popular medicine in folk medicine. 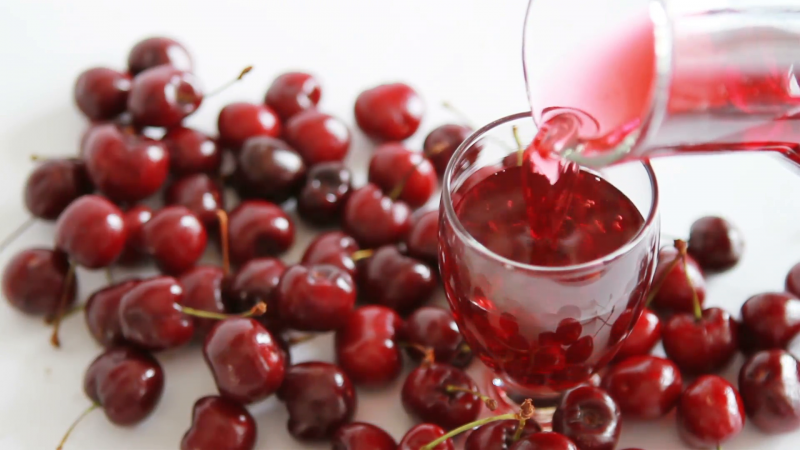 Cherry juice, fruit and decoction was used to improve digestion, satisfy thirst; it has been praised for its beneficial effect on lungs and its antiputrefactive and laxative properties. Their fantastic properties have now been confirmed by scientists. Cherries have a lot of antioxidants in their flesh – anthocyanins. Antioxidants slow down body ageing process extend both psychic and physiological performance. They aid the fight with inflammations and lower the level of bad LDL cholesterol. Anthocyanins affect the elasticity and the permeability of capillaries, especially the ones found in the iris. This means that they accelerate the process of regeneration of a visual pigment – rhodopsin, necessary to register the light impinging the retina (i.e. they contribute significantly to sight regeneration in people working in poor light). Thanks to the presence of anthocyanins (250-600 mg in 100cm3 of flesh), cherries affect visual acuity. Cherries – what vitamins do they contain? Cherries are real vitamin and mineral bombs. For instance, they have more iron than apples. The average vitamin C content in 100 grams of fruit amounts to 12 mg, but cherries growing in the north of Europe have 2-3 times more of it than the south varieties. About 600 g of cherries cover the daily demand for this important vitamin. What is more, cherries contain tannins, pectins and inositol (known as vitamin B8) which prevents greying. A small amount of inositol vitamin is synthesized in the intestinal tract by bacterial flora, yet it’s not enough to meet the needs of the organism. It is necessary to provide it in our food. Inositol has also a positive effect on removing cholesterol from the body. Research conducted by scientists from the USA showed that eating cherries more often can lower the level of bad LDL cholesterol in the blood and can have an influence on the reduced amount of belly fat. The fat which is the cause of cardiovascular disease and appears frequently in men and people who work in a sitting position. The presence of coumarin, specific substances lowering blood coagulation, in the flesh of cherries makes it an indispensable component of a diet of people who have had an embolism, heart attack or stroke. If one eats cherries regularly, chest pain is reduced and regulates the work of the heart. Pure coumarin has a smell reminiscent of dried hay mixed with vanilla. It has a spicy taste. Coumarin is better absorbed and distributed in the body when it is supplied together with fats or alcohol. This could explain why so many people are fans of cherry liqueur because coumarin has a soothing effect, relaxes smooth muscles, eliminates pain and reduces edema. It was considered that it can be used in the treatment of vegetative neurosis with twitch symptoms (100 m3 of cherry flesh contains 2-4 mg of coumarin). What is interesting, coumarin inhibits the multiplication of all bacteria, viruses (including HIV) and fungi. It kills saprophyte and protozoan. All those who are afraid of candidiasis should eat cherries or drink cherry juice regularly. Because coumarin act also as plant pesticides, cherries can grow more freely than other shrubs and they are less exposed to attacks from parasites. Cherry retains its health-giving properties after freezing or short heat treatment. The best method of preserving it is preparing juice which, after a mild pasteurization process (60-65°C), will serve as a treat and medicine for a long time. It is recommended to remove the stones from the fruit as they contain certain quantities of cyanide compounds. The leaves and young branches of a cherry tree can be used when pickling mushrooms, cucumbers and tomatoes. When can cherries harm your health? Despite all their advantages, cherries should not be eaten by people suffering from stomach and/or duodenum ulceration, type II diabetes and obesity as their fruit irritate the digestive tract and encourage the appetite. On the other hand, all skinny picky eaters should regularly include cherries in their diet.